Will a Stair Chair Lift Work on Any Kind of Stairway? 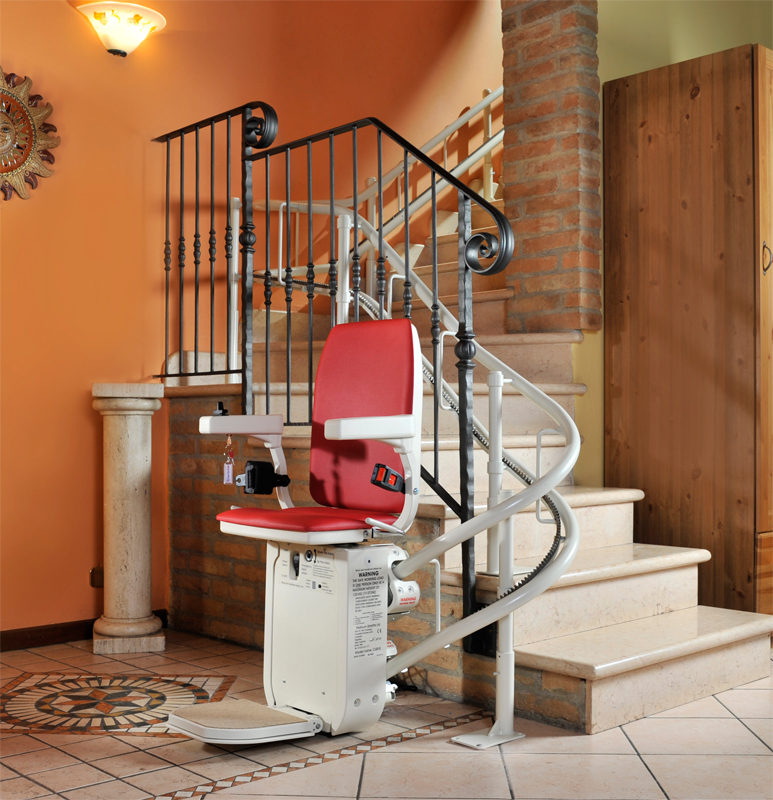 A stair lift can be made to work on any stairway, but you must always consider the costs. Generally, stair lifts are attractive because they offer significant functionality at low cost. Straight stairways are the most common, and the easiest to address. Stairways with 90-degree turns or 180-degree turns are also relatively simple with the new, affordable curved stair lifts that are available now. The most common stair lifts are made for straight stairways. The track that the stairlift rides upon is manufactured in sections. The installer simply attaches each section of track until reaching the required length, and the last section is cut to the appropriate size for the unique stairway. If there are doors at the immediate top or bottom of the stairway, the track is raised slightly to allow the door to close. This simple installation is the least expensive solution of all. Many stairways in two-story homes make 90-degree turns, or turn 180 degrees back in the opposite direction. Some homes have full spiral staircases, where there isn't a straight portion for the entire length of the stairs. Up until late 2012, these 90-degree and 180-degree staircases would need to have a standard stair lift for each straight section of the staircase. This would end up being expensive, wouldn't be attractive to look at in your home, and would require the user to transfer chairs halfway up the journey to the next level. Overall, this was a bad experience for our customers, so we needed to find a better solution to these problems. For spiral staircases, there was not a reasonably priced option to customize a curved stair lift for this type of project. Now the curved stair lift measuring and customization techniques used to manufacture a curved stair lift for your unique staircase is extremely affordable and aesthetically pleasing to look at too! The affordability of a curved stair lift is amazing in itself and being able to stay in your home for longer to "age in place" is a win-win for everyone now.